After you’ve been injured, you should be able to focus on your recovery. Your health is what’s most important. Indeed, we see that as one of our most important tasks: making sure that our clients can devote all of their mental and emotional resources towards getting better. This is true whether you’ll be missing work for a few days or if you won’t be able to return to work period. Unfortunately, most people who have been injured will be approached by insurance companies (or others) which will force them to make tough decisions. In this blog, we’ll go over some ways as to how Los Angeles Injury Attorneys can best prepare and protect you as you’re recovering from an injury. For many of our clients, the insurance companies did not wait to contact them. Plenty of our clients heard from the insurance company on the same day as their injury. Think about that: within 24 hours (or less) the insurance company was already on the phone with them. That may seem like the insurance company is really keeping an eye on you, and is doing so out of their goodness in their collective heart. They heard you were injured, so they wanted to be there for you as quickly as possible. Of course, the opposite of that is true: they knew you were injured, and wanted to try and get you to sign something before the shock wears off. “Shock” doesn’t necessarily mean the medical condition, wherein someone is in a state of shock after an accident or traumatic event (although, it certainly can mean that). It’s also perfectly normal and understandable to be in shock as you return home after an accident, even if it was seemingly a minor one. No matter the extent of your injuries or the particulars of the accident, it’s going to have an effect on you. You’re human, it’s only natural. The insurance company, and their highly paid teams of experts, understand that. That’s why they contact you as quickly as possible. They want you to offer you a deal now, in hopes that you won’t think it through entirely. If you’ve never been injured in an accident (and here’s hoping you haven’t been!) then it’s understandable that you read the above paragraph and thought: “why would someone take the first deal from the insurance company?” You have to put yourself in the shoes of someone who’s been injured. It’s a very difficult, confusing time. Everything in your life can seem like it came unmoored; all in the span of a few seconds. Even if you’ve been told that you’re going to be fine, it’s natural to get caught up in the worries about medical bills, work going forward, how you’re going to do your job, will you be there for your loved ones, and so forth. Indeed, those are just a few of the many millions of other thoughts that could potentially be racing through an injured person’s head. So, now imagine with all of those worries, the insurance company adjuster comes along. They are as friendly and kind as a person can be. They not only seem like a friendly face in the midst of a dark time, they come bearing gifts. Indeed, they’re bringing… money. This isn’t money you’d have to wait around on, nor is this money that may potentially be there — they’re giving you money, right here and right now. Now, instead of having to deal with all of those worries, you can get rid of them all in one moment, simply by signing this form. It’s a powerful means of persuasion, which is why the insurance companies avail themselves of it so often. All of that being said, so many people who have signed that first form from the insurance companies have lived to regret it. It can seem like a godsend, but really that first form is a way for the insurance companies to protect themselves. That first form, no matter how much it is, is actually so much less than what your claim is worth. They know that. Indeed, the insurance company knows more about your claim, your case, and what all of it is worth than you do. They have experienced pros who have made accidents and injuries like yours their entire careers for many years. Of course they know more than someone who’s just been in a difficult accident. If they get you to sign that contact, you’ll get less than you would have made had you signed with personal injury attorneys like ours. That’s why the insurance company makes the offer in the first place: they don’t want you to get all of the money that you deserve. If you do get all of the money you deserve, they don’t make money. See, the insurance company knows what your claim is worth. They have that number in mind when they make this first offer. As long as they get you to take less than what they know your claim is worth, they win. They make money. You don’t make as much. It’s a very brutal, efficient sort of math on their part. This is actually even more true if this first, initial offering from the insurance company is high. The more money they offer you up front, the more they know that your case is worth. The higher the original number they set it, the more they know your claim is worth. So, you may think: “wow, they’re giving me all this money right now!” But really, what you’re doing is making it impossible for you or your loved ones to get all of the money that you deserve for your injuries. It may seem like you can take that first deal from the insurance company if your injuries are minor. Unfortunately, (and we’ve seen this so many times) someone who thinks their injuries are minor discovers, in time, that those injuries aren’t minor at all. In many injuries, from car accidents, slip and falls or anything else, the true extent of the injuries isn’t known for some time. It can seem like you’re fine, that you’re 100%, yet you then discover over time that your injuries are much worse than you initially thought. This can make everything more difficult. So, to use an example, say that you hurt your leg in a slip and fall accident. It keeps you out of work for a day or so, but it’s nothing too major. You take the first deal the insurance company offers you. Everything seems fine. Then, you go to work, and… well, after a few weeks, you don’t feel fine anymore. In fact, you feel much worse. Suddenly, you can’t put pressure on your leg like you were able to before. Instead, your leg has seemingly gotten worse. This happens all the time with accident cases. Now, when you go back to get compensation from the insurance company, you can’t. You already signed their form. You’ve precluded yourself from getting the compensation that you deserve. We’ve seen this sad story play out many times. We’re here to keep it from happening. As we try to mention on here, practically once per blog, don’t sign something from the insurance companies until you let us look at them first. When you let us take a look over a form from the insurance companies before signing them, we can tell you the truth. We can tell you what your claim is worth, and we can tell you how that relates to what the insurance company has offered you. 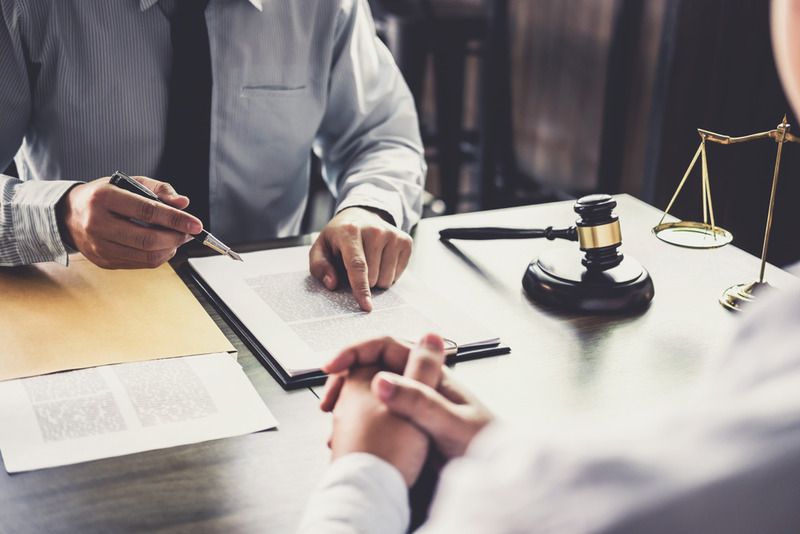 To schedule a free consultation and take that first step towards getting your due compensation, give us a call at (818) 210-4558 or head to our site.